Who is your favourite Ottoman Sultan? It’s a question addressed more to my Turkish readers. Visitors to Istanbul probably figure that there must have been a Sultan Ahmet (in fact there were three); some may have heard of Suleiman the Magnificent or Mehmet the Conqueror. Turkish people themselves are most likely to favour a pre-1600 Padishah. After all, those were the glory days of empire – and anyway, there were 36 Ottoman rulers during the dynasty’s span of 620 years. Who can remember all of them? Osman was the guy who got it all started at the end of the 13th century, and whose name, a little mangled in English, identifies the entire bloodline. Mehmet II, at the age of 21, led the final successful siege of Constantinople, putting an end to the Roman Empire, or that of the Byzantine Greeks, depending on how you look at it. Suleiman the Lawgiver, as he is known in Turkey, presided over the empire in its golden heyday, ruling for 45 years, and will probably be number one choice for most Turks. A local soap opera, Muhteşem Yüzyıl (The Magnificent Century) has recently given that age mass popularity. Süleiman’s father, Selim I, has been the centre of some controversy in Turkey of late after authorities decided to name the new Bosporus bridge for him. He has fans and detractors in possibly equal measure. So who’s my pick? 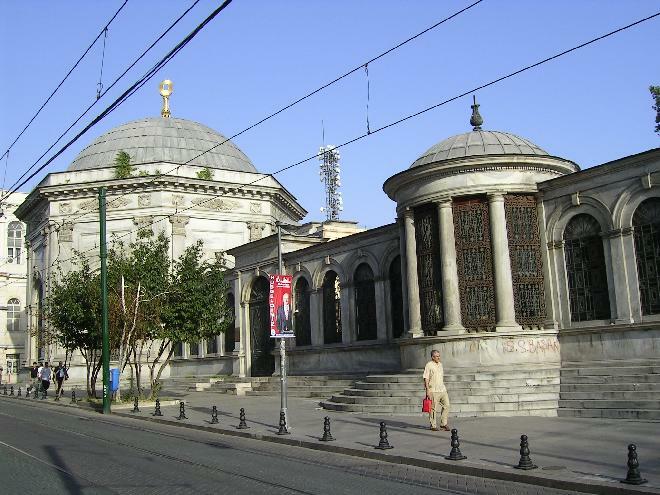 I’ve written before about Beyazid II, who reigned from 1481 to 1512. Back in 1492, when ‘Christians’ were beginning the genocide of Native Americans, and ‘reconquering’ the Iberian Peninsula, in the process offering Muslims and Jews the alternatives of conversion or death, Beyazid sent the Ottoman navy to evacuate Jews looking for a third option. He is reputed to have complimented himself on enriching his own dominions while Fredrick and Isabella of Spain were impoverishing theirs. A fairly enlightened action for those days, wouldn’t you say? If he achieved nothing else during his 30-odd years on the throne, that alone should secure him a place in heaven. The big problem here, though, is that Muslims, pretty much since they first appeared on the stage of history, have had a bad press in the ‘Christian’ West. For close to a thousand years, Western Europe lived in fear of being overrun, and suffering death or a fate worse than, at the hands of one Islamic empire or another. Even after they finally managed to gain military and technological superiority, the memory of those humiliating centuries persisted, encouraging the use of disparaging or demonising stereotypes that worked against an objective assessment of Muslim achievements during their years of ascendancy. As a result, the few Ottoman sultans known by name in the West tend to have been matched with less-than-flattering epithets. Selim I, known to Turks as ‘Yavuz’ (the Indomitable), is Selim the Grim in English; his grandson, Sarı (Blond) Selim, is anglicised as ‘the Sot’. Even the great Suleiman, in a backhanded compliment, is celebrated for the opulence and magnificence of his court rather than his achievements in the field of jurisprudence. 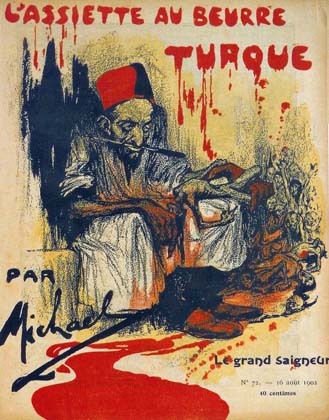 Such was the fear and hatred of Muslims and Turks (particularly in combination) that the Elizabethan playwright Christopher Marlowe chose to lionise the pagan Tamburlaine who, with his Mongolian hordes, invaded Anatolia and enslaved the Sultan Beyazid I in 1402. By the 19th century, the days when European ambassadors were obliged to learn Ottoman Turkish, and crawl into the presence of the Sultan of Sultans, Khan of Khans, were long gone. Facing threats of invasion from without and disintegration from within, its shrinking borders circled by the great neighbouring imperialist powers, the ‘Sick Man of Europe’ continued to survive only because those gathering vultures, like the two nuns in the old joke, were more intent on ensuring that the others wouldn’t get more than they did. Continuing the list of his sins, the ‘Red Sultan’ curtailed the privileges of foreigners, obstructed the settlement of Jews in Palestine, got the Empire into ‘financial embarrassment’ and carried out a policy of Islamification, particularly through a series of educational reforms. Confirming him as a true representative of Ottoman depravity, ‘Abdül Hamid had thirteen wives and seventeen children.’ The one positive seems to be that he ‘was responsible for some modest modernization’ mainly in the areas of telegraph and railway building – though even in the latter case his major motive seems to have been the facilitating of travel for Muslim pilgrims heading for the holy city of Mecca. 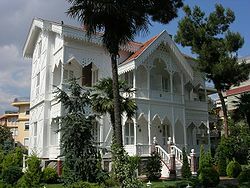 On the whole, not a good look; and another writer has remarked that ‘Abdül Hamid II has justifiably not been treated kindly by the history books.’ She does, however, reduce his bevy of wives and brood of children to, respectively, eight and thirteen – so even in this department it seems there is room for debate. And perhaps a more important question arises: Whose history books? History, it has been said, is written by the victors, and since around 1700, Western Christendom has been progressively asserting its dominance over the realms of Islam. As a result, if you want to find an alternative view of history, you need to overturn a stone or two. Under one such stone I found an interesting website, Lost Islamic History, and an article lauding our man Abdül Hamid as ‘The Last Great Caliph’. The Caliph, as you may know, was the Islamic equivalent of the Roman Emperor, combining spiritual and temporal power, and the first ones, of course, were Arabs. However, when the Ottomans established themselves as the dominant Muslim power at the beginning of the 16th century, it made sense, at least in the mind of the Indomitable Selim, to assume the mantle of leader and protector of his co-religionists. Thereafter ‘Caliph’ became one of the hereditary titles of the Ottoman Sultan. A thought-provoking claim in that article is that ‘Throughout Ottoman history, Christians had been a major part of the population, at some times being about 80%’. Certainly the Ottomans conquered lands that had become predominantly Christian, yet they allowed their new subject peoples to continue speaking their languages, practising their religions, educating their children, even holding high positions in the empire and administering their own justice. Furthermore, as we noted above, they added to the native Jewish population by encouraging immigration from less enlightened lands to the West such as Spain. As enlightenment struck the Great Powers of Europe towards the end of the 18th century, however, they began to realise that they could enlarge their own territories by picking fights with the increasingly vulnerable Ottomans. Picking fights with neighbours of course wasn’t quite in the true spirit of enlightenment, but if you could find a credible pretext, such as aiding fellow Christians escape intolerable oppression by an evil barbaric Muslim empire, you would not only have right on your side, but you would have allies causing trouble behind enemy lines, and a gratefully liberated populace running to your arms after victory was achieved. Russia was the main exponent of this technique, although to be fair they probably got the idea from the Brits who encouraged and then supported militarily Greek nationalism leading to the establishment of the modern kingdom of Greece in 1832, with a real German king on the throne, King Otto I. The tide of victory had begun to turn against the Ottomans towards the end of the 17th century, when their westward expansion was repulsed at the gates of Vienna. By the beginning of the 19th century defeat was becoming more the norm than the exception. Nationalist movements, encouraged by Western philosophers and politicians, were gaining strength. Christian-majority lands in Europe were forcibly ‘liberated’, often expelling their Muslim minorities. Imperial Russia was expanding southwards in search of warm water ports, pursuing a policy of Russification, which generally meant killing or driving out the Muslim inhabitants. For the Ottomans, the population balance was radically altered by the loss of Christians and a flood of Muslim refugees. In 1839 the Sultan Mahmut II began a process of reform and democratisation known in Turkish as Tanzimat. A major aim was to discourage the growth of nationalist movements by granting equal rights to all citizens. 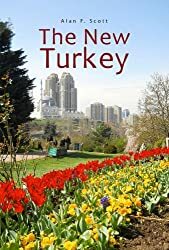 It was too late, however, and anyway, as we have seen, the encouragement of nationalism among Ottoman minorities was a means to an end for the Great Powers of Europe, who clearly had little sympathy for such movements within their own expanding empires. 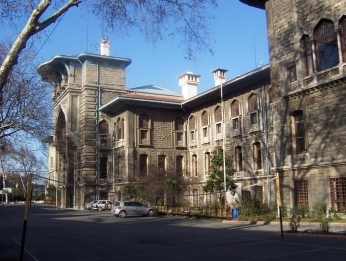 Nevertheless, it seems Sultan Abdül Hamid II had intended to continue the process of administrative reform and modernisation when he was handed the top job in 1876. The fact that he actually had a constitution drawn up limiting the powers of the monarchy testifies to this. Within a year, however, he was caught up in a disastrous war with Russia who, pursuing its goal of access to the Mediterranean Sea, attacked from the west and the east, with the support of Orthodox Christians in the Balkans and Armenians in the east of Anatolia. With the Russian army set to enter Istanbul, the Ottoman government was obliged to make peace. The so-called Treaty of San Stefano amounted to virtual unconditional surrender: loss of most of its Balkan territories and several important districts in the east; opening of the Bosporus Straits to Russian shipping, and payment of a large war indemnity to Russia. The British and the French, who had until recently been supporting the Ottomans against Russia, had turned against them. It must have been obvious to Abdül Hamid that the time for democratic liberalisation was not now. It was clear that non-Muslim minorities within the Empire were intent on going their own way, and that the Great (Christian) Powers of Europe would exploit these nationalist uprisings for their own advantage. It must also have struck him that the one chance of holding the remains of the Empire together was to appeal to Muslim solidarity. 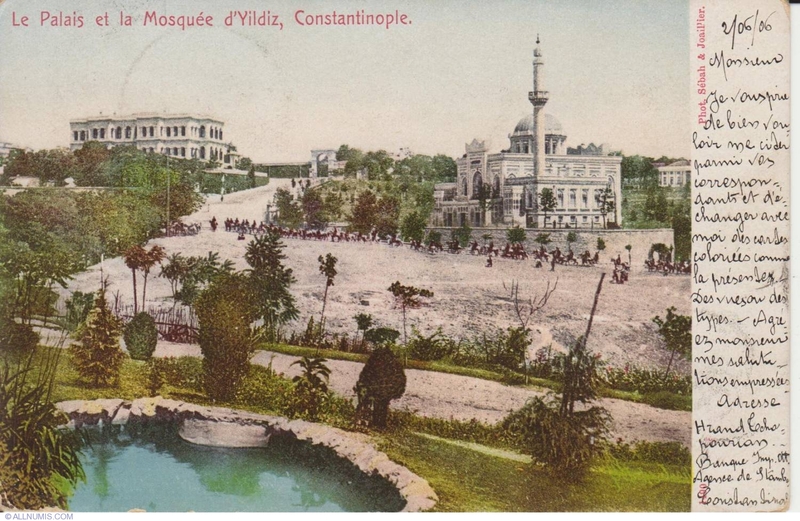 At that time many of the Sultan’s Muslim subjects were Arab, not Turk – and anyway, the Ottoman aristocracy did not consider themselves Turks. So, according to Prof. Dr. Nazeer Ahmed, seeing himself as the inheritor of a sacred trust to preserve his 600-year-old Empire, Abdül Hamid suspended his newly written constitution and assumed the historical mantle of God-appointed sovereignty. Dusting off the hitherto largely symbolic title of Caliph, He took out the Prophet’s mantle from the Topkapi palace, declared the resistance to Russia a jihad, proclaimed himself a ghazi after the example of the early Ottoman Sultans and appealed to Muslims worldwide for support. This pattern of appeal to the global Muslim community was to be repeated, time and again, during [his] reign. The punitive terms of the San Stefano Treaty were moderated somewhat by the intervention of Britain and France, who feared the expansion of Russia into their spheres of interest. The Ottomans were permitted to maintain a foot in the Balkans, and their reparation payments were reduced. Nevertheless, there was a price to pay: the British proceeded to occupy the island of Cyprus, purchased French acceptance by allowing them to occupy Tunisia, and subsequently moved themselves into Egypt. Professor Nazeer says that ‘the war with Russia and the loss of Egypt and Tunisia had cost the Empire more than 60% of its population’ – becoming a largely Muslim entity in Anatolia and the Middle East. Abdül Hamid’s move to become champion of the world’s Muslims was not purely pragmatic. In fact he had been a follower of Shadhili Sufism before ascending to the throne, so his donning of the Caliph’s mantle did not lack spiritual credibility. At the same time, however, it undoubtedly gave him a powerful card to play in negotiations with the Great Powers of Europe whose global expansion brought many Muslims into their imperial folds. The Empire was disastrously in debt, however, and religion alone would not save it. 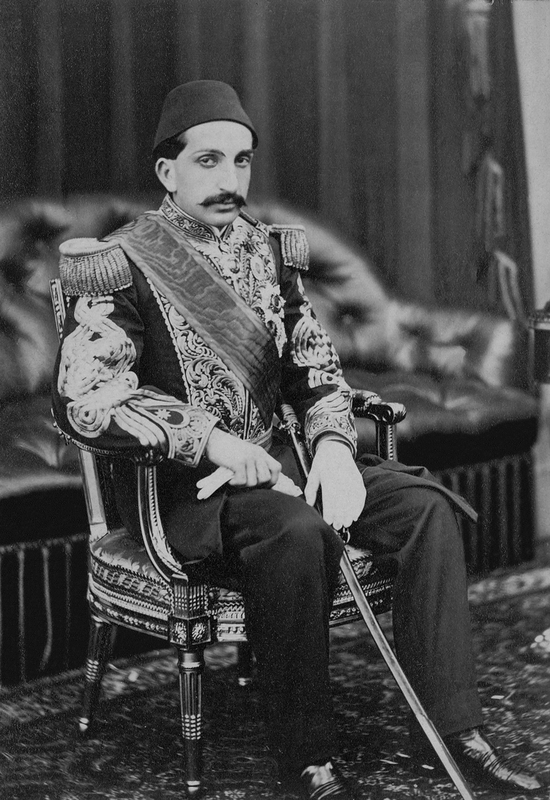 Having centralised imperial power in the hands of his Vizier, Abdül Hamid was in a position to dictate a series of economic reforms: renegotiating the debt burden, encouraging the development of agriculture and industry, setting up a bank to provide low interest loans, encouraging foreign investment for building railroads, telegraph lines and building silk, tobacco and fabric processing factories, modernising the armed forces and upgrading standards of education. Abdül Hamid did not set out to be an autocratic dictator – the role was forced upon him by a combination of lethal threats to his empire. He used the Muslim religion also out of necessity as a cohesive force against external and internal dangers, just as later, Mustafa Kemal Atatürk fostered the development of Turkish nationalism. It suited the goals of the so-called ‘Christian’ powers of Europe to ignore atrocities committed against Muslims (starting with the expulsion of the Crimean Tatars in 1783) and portray the killing of Christians as unwarranted acts of barbarity. There were undoubtedly many within the empire and beyond its boundaries who did not wish the Sultan well. A certain measure of paranoia may have been justified. The Ottoman Empire ended with a whimper in 1923. Without the efforts of Abdül Hamid II, it might well have ended forty years earlier. Ironically, his educational reforms, in creating a new intellectual elite, may have led at last to his own overthrow. This entry was posted in clash of civilisations, European imperialism, Ottoman Empire and tagged Armenian genocide, Muslim history. Bookmark the permalink. Yes, the truth may indeed lie somewhere between the two extremes. But at least we need to see the opposite p.o.v.to find a balance.